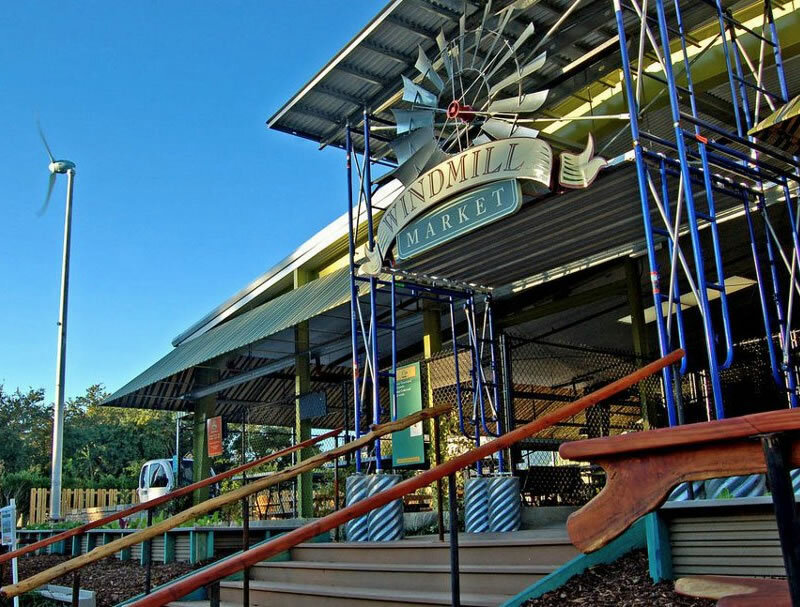 Designed by Mac and Gina Walcott, of Walcott Adams Verneuille Architects, the Windmill Market is an open air marketplace in downtown Fairhope, featuring local, seasonal, and sustainable wares. It was conceived as a green business incubator, supporting the craftspeople, farmers, and artisans at the heart of this coastal community. The market acts as a demonstration site for many green building technologies and offers green building tours to students and the general public. 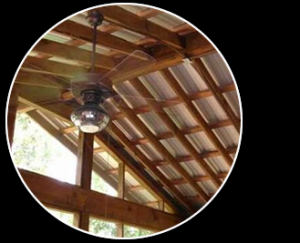 Visitors to the market can go on a “Green Detective” scavenger hunt, and try to identify all of the building materials with a “past life.” The Windmill Market has been recognized by the City of Fairhope as an outstanding green building education site.